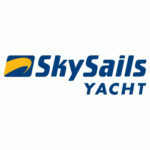 Instead of a traditional sail fitted to a mast, SkySails uses large towing kites to propel the yacht forward. Their shape is similar to that of a paraglider. The towing kite is made from high-strength, waterproof fabrics. SkySails can operate at an altitude of 100 to 300m, where stronger, more stable winds prevail. 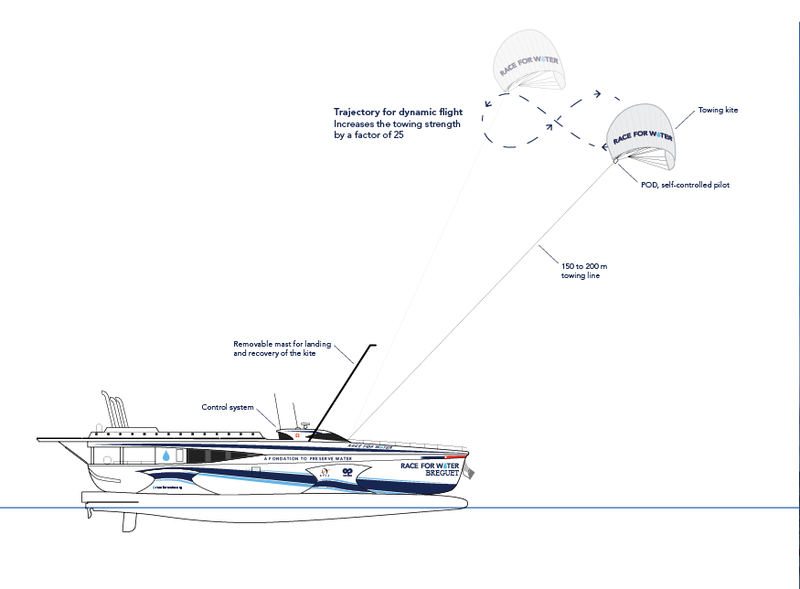 The tractive forces are transmitted to the yacht via a line made of very high-strength synthetic fibres. The launch and recovery system is installed on the foredeck and it manages the lowering and deployment of the kite wing. During launch, a telescopic mast unfolds the kite wing whilst lifting it. Once it is at a suitable altitude, the wing unfurls completely and can be launched. A winch releases the towing rope until operating altitude has been reached. The recovery process is performed in reverse order. The launch and recovery procedures each take a total of 10 to 20 minutes.